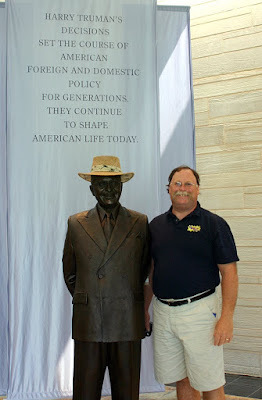 We will always stop at a Presidential Library when one is nearby. 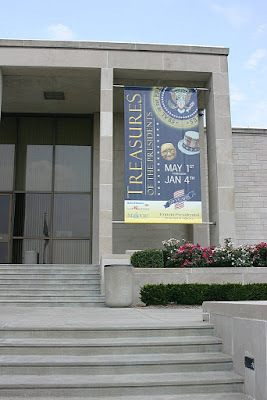 The Truman Library is in Independence, Missouri - right in our path! This is the 7th library we've visited in our RV travels. I've marked each blog post with the label "Presidential Libraries" - you can click on that label in the right sidebar and view all of those posts. Which one is Harry and which one is Jim? 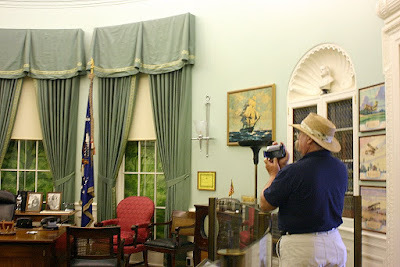 Every Presidential Library needs an oval office. I so love learning about history! Truman was president at some really horrible times in our country's history. Dropping the bomb on Hiroshima and Nagasaki. The start of the Cold War and McCarthyism. 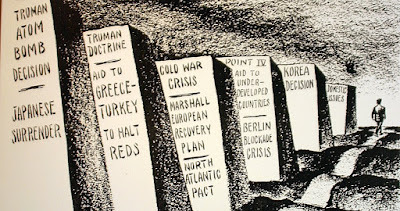 Then there was good stuff like the Marshall Plan. I especially enjoyed reading about the Berlin Airlift where the Russians had blockaded the city and demanded that the US not cross the blockade even for humanitarian supplies. Given 2 unacceptable options- back down, or risk WW3 - the Truman administration came up with option 3, fly in supplies! Truman was also President when I was born - 1952. The library had an entire room devoted to Life magazine covers from 1952! Sorry for the blur, but I couldn't use flash. 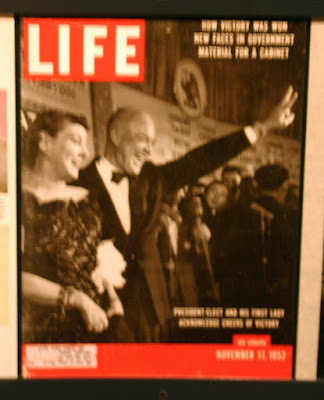 This cover is of the new President, Eisenhower, who had just been elected. I think I could spend several days in any of these libraries, but we only spent a few hours. Then got back on the road. 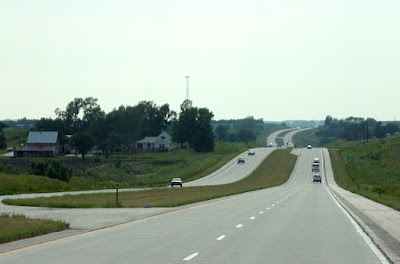 Towards the end of the day we crossed into Nebraska by taking a bridge over the Missouri river. That same hour, we heard of a bridge over the Mississippi that had collapsed in Minneapolis - oh my god.